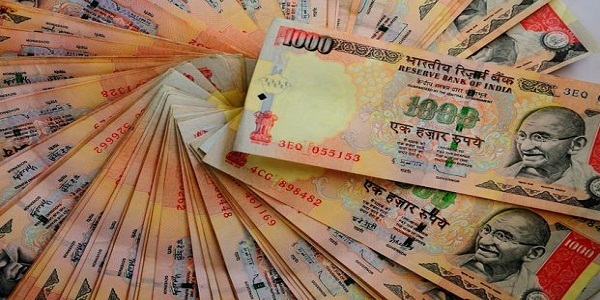 The Union government will borrow Rs 3.6 lakh crore from markets in the first half of the next financial year, which is over 50% of the annual target of Rs 6 lakh crore. “We will issue long-term bonds of 40 years in early next financial year. It will help us in the long run and will provide stability in the system,” Finance Secretary Rajiv Mehrishi told. The total borrowing in the first six months would be to the tune of Rs 3.6 lakh crore, he added. The government borrows money from the markets through T-bills and other instruments to fund its fiscal deficit. Giving details of borrowing programme for 2015-16, he said the central government would be borrowing about Rs 17,000-18,000 crore through bonds every week. The calender for market borrowing was decided at a meeting between officials of the Finance Ministry and Reserve Bank (RBI). The government, as per the budget papers, plans to borrow Rs 6 lakh crore from the market in the next fiscal, up from Rs 5.92 lakh crore in 2014-15. However, the net borrowings in 2015-16 will be Rs 4.56 lakh crore, after considering repayments of past loans and interest, as per budget documents. The budgeted target for borrowing in current fiscal was also Rs 6 lakh crore, but it is likely to remain at around Rs 5.92 lakh crore. In the financial year ending March, the fiscal deficit has been estimated at 4.1%. In 2015-16, the deficit will be pruned to 3.9%.